Welcome to the Ebranta Technologies Web site!!! Our goal is to satisfy customers by providing high quality, innovative software products. We believe striving for technical excellence is essential for delivering products that are dependable and worthwhile. Please visit our products page for comprehensive product descriptions. Ebranta software products DO NOT contain spyware or adware of any kind. Our products DO NOT install tracking software on your system, or collect personal information about you, or come bundled with any third party software. eTuner for Mac Version 2.3 is now available in the Mac App Store. eTuner uses the quality audio and fine display capabilities of your Mac to determine and display musical pitch information as you play an instrument or sing a note. In addition to instrument tuning, eTuner can also be used for scale studies and checking intonation as you play an instrument. eTuner has been developed and tested to work automatically with a variety of wind, brass, string instruments, and voice. Other instruments that produce a sustained tone will also work acceptably. eTuner features a graphical note display, chromatic tuning with scale key settings, and flexible calibration. Please see the eTuner for Mac product page for more information. TopoPointUSA version 2.10 is now available for iPad and iPhone! Introducing TopoPointUSA, the first GPS enabled cell phone application for displaying United States Geological Survey (USGS) high resolution topographic map images and your GPS position whether you are online or not! USGS topographic maps contain the highest detail of any map suitable for wilderness travel within the United States. Detailed map features can include USGS survey markers, minor pack trails, creeks, springs, wells, alpine/vegetation area boundaries, and backcountry campsites. Even abandoned structures or mining equipment are commonly found on these maps. Topographical contour resolution can be as high as 20 feet, or even 5 meters in flatter areas. Please see the TopoPointUSA for iPhone product page for more information. TopoPoint Canada version 2.10 is now available for iPad and iPhone! Introducing TopoPoint Canada, a GPS enabled cell phone application for displaying FREE Natural Resources Canada (NRCan) high resolution topographic map images and your GPS position whether you are online or not! NRCan topographic maps contain the highest detail of any map suitable for wilderness travel within Canada. 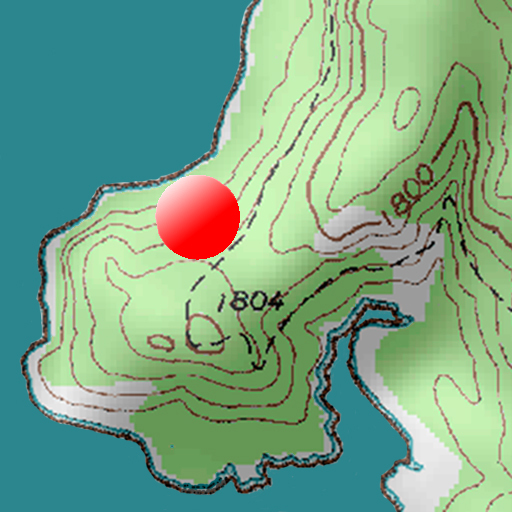 TopopointCAN downloads these maps from a NRCan server and stores them on your iPhone. Please see the TopoPoint Canada for iPhone product page for more information. eTuner version 2.2 is now available for iPhone and iPad! eTuner version 2.2, an interactive chromatic tuning application for iPhone and iPad is now available on the iTunes App Store. eTuner uses the quality audio and fine display capabilities of your iPhone to determine and display musical pitch information as you play an instrument or sing a note. In addition to instrument tuning, eTuner can also be used for scale studies and checking intonation as you play an instrument. eTuner has been developed and tested to work automatically with a variety of wind, brass, string instruments, and voice. Other instruments that produce a sustained tone will also work acceptably. eTuner features a graphical note display, chromatic tuning with scale key settings, and flexible calibration. Please see the eTuner for iPhone product page for more information. Please see our support page for updated product support issues.